Let me paint you a picture: A beautiful fall in the countryside. Dried flowers, rustic jugs—just the setting to sit still for a moment and be grateful. Doesn’t that sound beautiful? 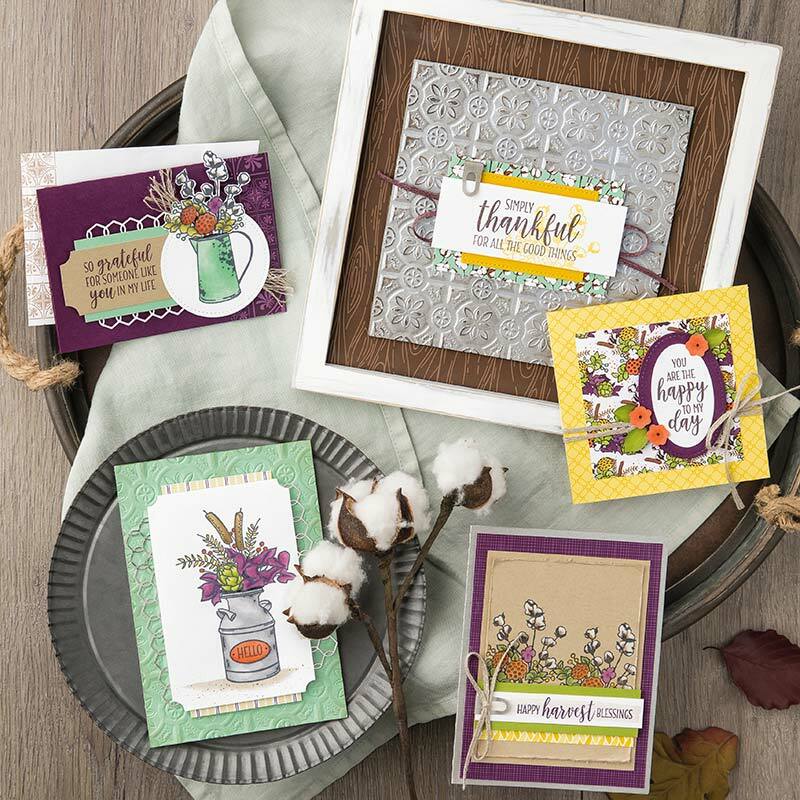 This month my clubs are creating cards using the Country Home Stamp Set. This beautiful product suite is perfect for this time of year (anytime really) but I fell in love because Fall is my favorite time of year. Besides the milk can reminds me of my grandpa’s farm. It’s those beautiful memories that make creating beautiful cards so easy with this stamp set. There are so many ways in which you can use this set. One of my favorites is teaming it up with the Tin Tile Dynamic Embossing Folder and the new Galvanized Metallic paper … the results are stunning. Another fun product to add to your cards and projects is the Chicken Wire Elements (currently unavailable, but expected arrival October 29th). Just look at all the beautiful cards you can make … and don’t forget the wall décor! There is one more tool that we have been using in creating our projects and that is the Stamparatus!! The members were amazed at how easy it was to use, and that each of their stamped images turned out perfect. Too light … just re-ink and stamp again – NO double image!! Just check out this video! 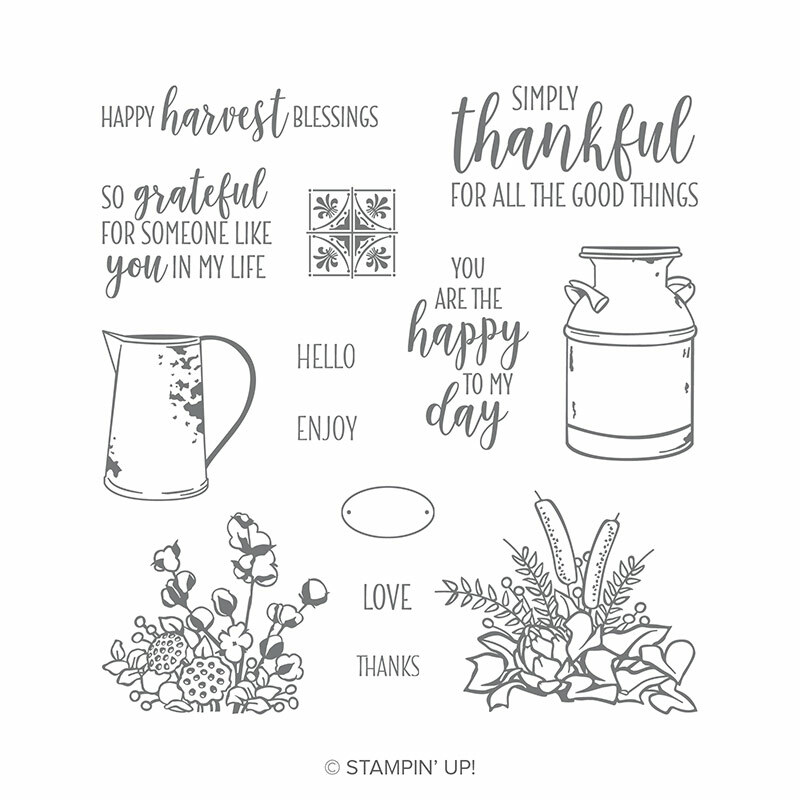 Love, Love, LOVE this tool … I am in the process of creating for my Holiday Stamping Retreat, and let me tell you how handy this has become. I will show you “after” my retreat how it helped me out so much. If you have any questions on the Stamparatus or the Country Home product suite … please feel free to contact me at anytime. I thank you for stopping by to visit today. « Ready to get spooky?